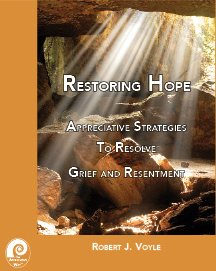 This manual provides practical strategies to effectively resolve grief and resentment. Over 95% of the participants in Rob's workshop consistently rate Rob's presentations as: "one of the best training program I have attended in years." Appreciative Inquiry is a positive organizational process that discovers and builds on those things that gives life to an organization. From a theological perspective Rob would ask: "What did Jesus come for? Was it to give us less death or Life...?" The "appreciative way" of focusing on growing what is life-giving contrasts many of the "pathology reducing" or "less death" approaches to organizational development. These problem reduction approaches often result in negative spirals of enfeeblement and more death rather than generative solutions. In this program participants will learn the power of positive questions, the life giving impact of positive metaphors, and experience their own appreciative process. The "appreciative way" contrasts many of the "pathology reducing" or "problem solving" approaches to personal and organizational development which, while engaged in with positive intention, often result in negative spirals of enfeeblement rather liberating generative solutions. Coaching and Therapy in the Appreciative Zone will make use of leaning from the fields of Appreciative Inquiry and Contemplative Spirituality to enable coaches to move from pathology driven models to life giving models of human functioning. Particular focus will be given to helping clients move from negative, judgmental, fear-driven motivations such as wanting to grow because they hate some aspect of themselves, to positive, appreciative, loving, motivations that flow from a review of the their life affirming experiences. Participants will learn the power of positive questions, the life giving impact of positive metaphors, and experience their own appreciative process. Learn Practical, Creative, Strategies to Quickly Achieve Sustainable Change and Restore People to Living a Life Free of Grief and Resentment. The nature of painful memories and how to resolve them. Forgiveness and the art of releasing resentment. Time Doesn't Heal Anything... Its what you do during the time that will result in ongoing misery or healing. The Buddha taught that compassion was the agent of genuine transformation in the world. 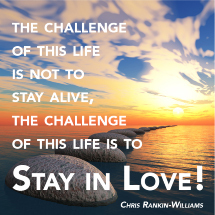 Likewise Jesus taught us that love was the agent of transformation. On closer examination the love that Jesus talked of was more akin to the ideas of compassion than many of the contemporary ideas of love that often trivialize one of the most profound of human experiences. But were Jesus and the Buddha always compassionate? During this workshop participants will explore the three faces or archetypal energies of compassion: Tenderness, Fierceness, and Mischievousness, and see how an ability to express all three is necessary if we are to be agents of transformation in our society. Unlike many linear or incremental forms of change, transformation usually involves a radical change of perspective or awareness and is often preceded by a period of confusion. 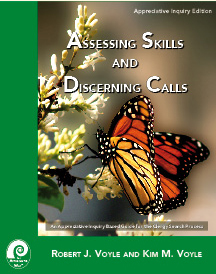 Using a variety of appreciative inquiry based approaches participants will have the opportunity to discover their own experience of each face of compassion and how to use them to elicit and manage confusion to facilitate transformation in those to whom they minister and serve. One of the main reasons why change is resisted is because the people experiencing the change are not able to perceive that the change is a blessing. Instead of a blessing they see the change as a loss of something of value. If we are to successfully lead people, then we need to ensure that we blessing people and not simply inflicting our changes upon them. In this program we will use an appreciative inquiry process to discover the nature of blessing and understand the dynamics of leading change and then integrate these leaning to ensure that the our changes are experienced as a blessing. Its time for the church to get out of the change business and back in the blessing business. Rob's training is full of heart, wit, and passion. E.R. Executive Coach. Rob's appreciative coach training helped me to rethink the way I approach and provide therapy; Thanks! Dr. George Moses, Pastoral Counselor. Rob will enhance your ability to delight in yourself, your neighbor and God through his insightful, practical, loving, professionally grounded, appreciative and often mischievous coaching and teaching skills; and that will make you a better leader and citizen in God's creation. 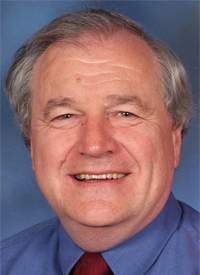 Ed Leidel, Episcopal Bishop and Congregational Coach. Rob's educational model brings body, mind and spirit together. I have been challenged intellectually, transformed spiritually, touched emotionally, gathering in communally. He came into my life at just the right time. Jean Holmes, Presbyterian Pastor. Rob Voyle has an amazing ability to frame and express Appreciative Inquiry for all of us. Christopher Szecsey, Senior Associate Social Impact, Inc. 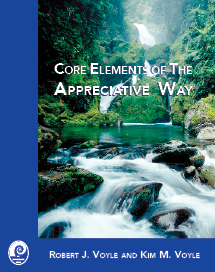 Rob and Kim's Appreciative Way series is an excellent group of tools to help you create an appreciative life. Rob and Kim combine a deep understanding of the theory of Appreciative Inquiry with their pastoral skills. All the guides are participant and facilitator friendly; lots of examples and exercises. 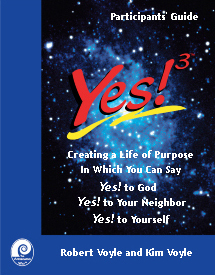 I recommend their work as a way to define a purpose centered life, community and church. Sue Hammond, Author Thinbook of Appreciative Inquiry.